Backyard Early Summer Nighttime Nature in New Jersey. 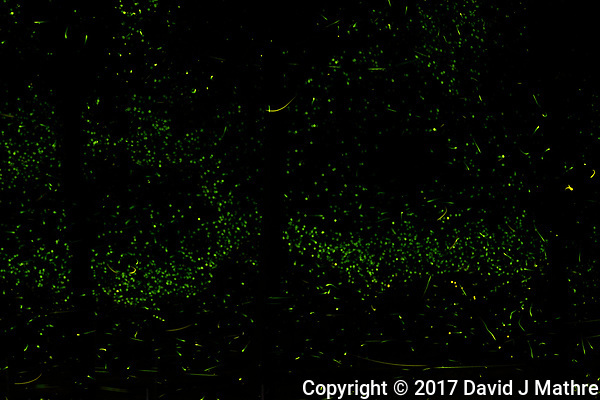 The weather held, and I got a second chance to capture an image of the fireflies flashing in my backyard. This time I set up two cameras, reduced the aperture (so a greater distance would be in focus), increased the ISO to increase the brightness (dealt with the increased noise in post processing), and set the focus distance to ~70 feet (locking the focus ring with gaffer tape). This time the composite images were better. I will try again tomorrow. 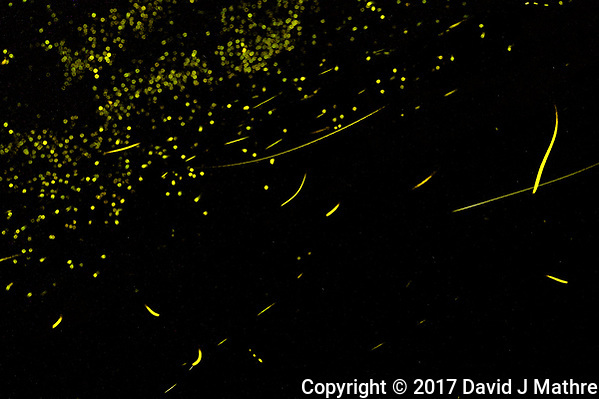 Fireflies in my backyard. Composite of 110 images taken with a Nikon D3s camera and 600 mm f/4 VR lens. 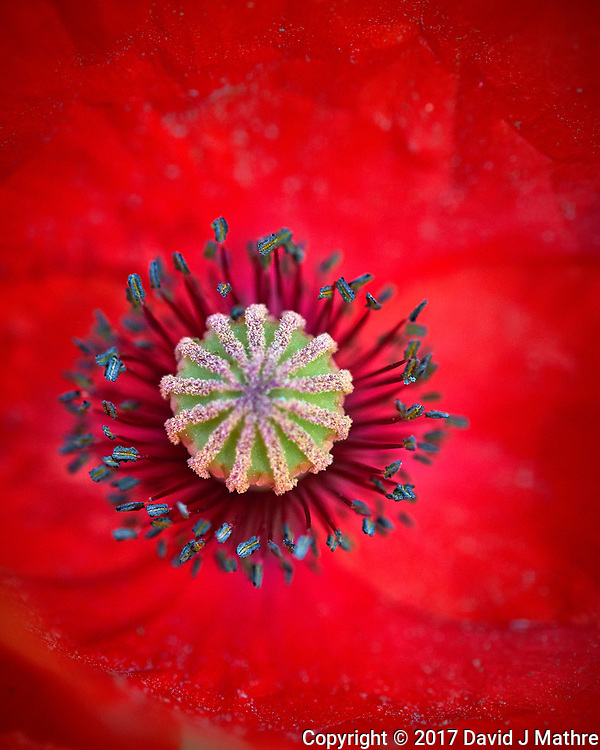 I liked this image, and have used the camera and lens parameters to help get better subsequent images. 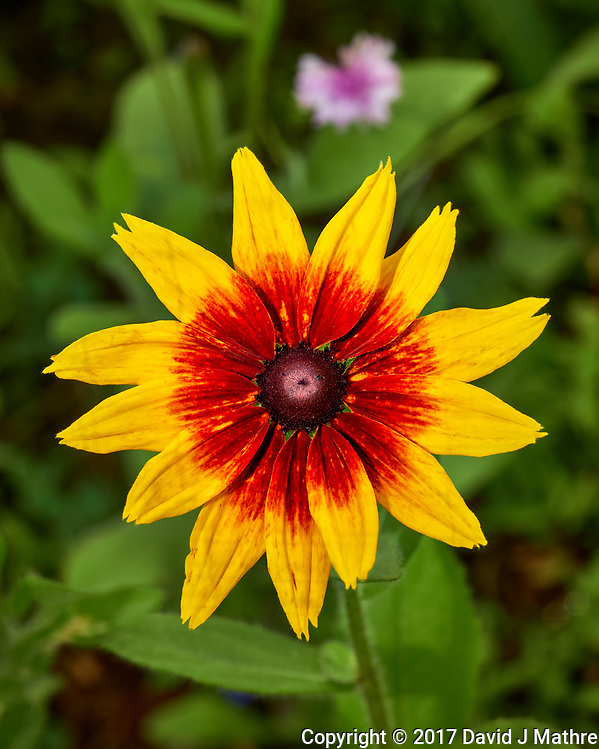 A different type of Black-eyed Susan with a red circle showed up in the small wildflower meadow I planted last year. I didn’t add any new seeds to this section this year, so the flowers that are showing up are either perennials, bi-annuals, or got reseeded from last years flowers. So far the flowers that appeared in this section include (sort of by date) Italian (Crimson) Clover, several types of Poppies, several types of Daisies, Bachelor Buttons (Cornflowers), and now two types of Black-eyed Susan. Just before the Daisies started to bloom, a deer got in and nibbled on the flower buds. Since then I put up a seven-foot mesh (not electrified). 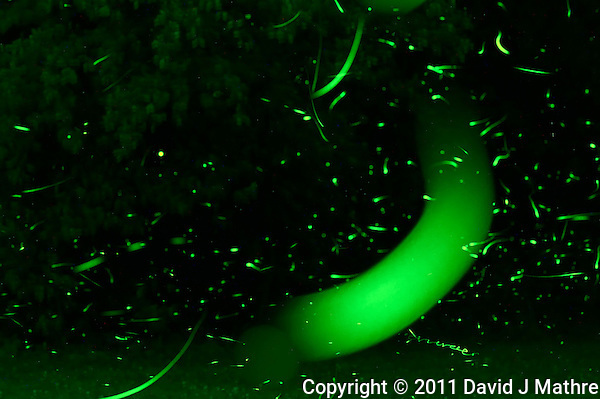 It was relatively dark out, and I could see a large number of fireflies out my backyard. I set up a camera, and took a series of images which I used to create a nearly two-hour composite image. 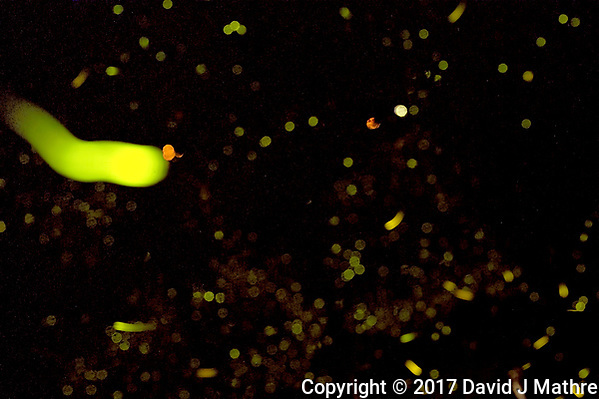 I am not happy that all of the fireflies were out of focus — I didn’t guess right with the distance from the camera and/or the focus dial moved as I was setting the camera up in the dark. Weather permitting I am going to try again tomorrow night. Walkabout in my backyard on the last day of spring. In addition to the poppies, a number of new flowers are starting to appear (Babies Breath, Bachelors Buttons, Coreopsis, Cosmos, various Daisies, Larkspur, and Black-eyed Susan). The yellow prickly pear cactus flowers only open for one day.